Vivica’s Black Magic is the Lifetime channel’s hottest new reality show. The hunks of the show can now be seen live in Las Vegas at Ron Decar’s Event Center located at 1201 South Las Vegas Boulevard. 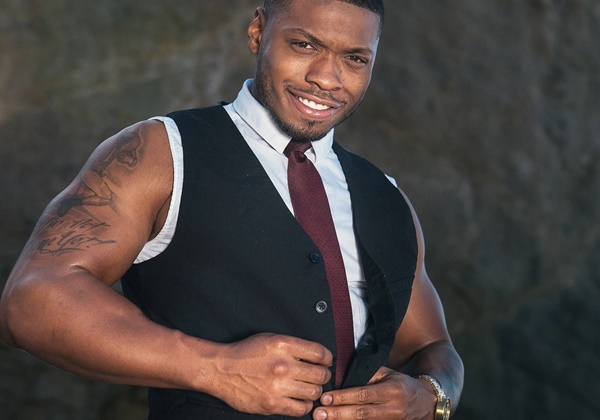 The dynamic male revue show features a crew of all-black exotic male dancers with washboard abs and boy next door good looks. This all-new show is just the latest project from “Chocolate City” director Jean Claude LaMarre and choreographer Darrin Henson. The talented crew debuted in Las Vegas on May 12 th , 2016 and begun their world tour in February of 2017. The Lifetime Network’s “Vivica’s Black Magic” aired on January 4 th , 2017. Due to the popularity of the show, the men of Black Magic created a live show featuring exotic choreography that excites audience members night after night. The revolving roster of dancers includes talented members like Trophy, LoverBoy, Cream, Heat, Storm, Silk, White Chocolate, GQ, Bolo, and Jamaika. Extend the 60 minute show by adding food and drink to your evening. Start with a buffet style dinner at the venue, followed by a few drinks. The Black Magic Live dancers accept tips so be sure to save some cash. Black Magic Live brings the chocolate from the TV series to the main stage. While the actress behind the Lifetime show Vivica A. Fox will not be present for the live remake, the men of Black Magic stand on their own. With their seductive synchronized dance moves and tantalizing strip teases, the crew is sure to get all the ladies in the audience at the edge of their seats. Women 18 years of age or older are welcome to see the Las Vegas show, but you must be at least 21 years old to drink. Black Magic Live can be seen almost every night of the week. Show times start on Tuesday and end on Saturday with run times from 9:30 PM to 10:30 PM. On Sunday, the show begins at 7:30 PM and ends at 8:30 PM. Choose from general admission tickets or for an even better evening, VIP tickets are available. On Thursdays and Sundays, general admission is $64 and VIP tickets are $74. On Friday and Saturday, general admission is $70 and VIP tickets are $84. If you’re a group of at least five, opt for the party discount which offers 15 percent off for a total ticket price of $272. All guests are also charged an additional ticket fee. Guests can also choose from several package deals to save a bit of cash and gain convenience during their evening out. Pack A, which costs $470 plus fees, includes a reserved table for five, bottle of vodka, and a free Black Magic Live t-shirt. Package B, which costs $935 plus fees, includes two private tables for a party of 10, two bottles of vodka, two free Black Magic Live shot glasses, signed poster, and a private table dance by two of the Black Magic Live dancers. The final package costs $1385 plus fees and includes three private tables for a party of 15, three bottles of vodka, three free Black Magic Live shot glasses, signed poster, and a private table dance featuring three of the Black Magic Live dancers. The men of Black Magic Live are making history by becoming one of the first all-male, all-black male revue shows in Las Vegas. It’s more than just another male strip show; it’s a steamy source of entertainment that you wouldn’t expect to see anywhere but the Strip. Spend your bachelorette party, birthday party, or girls’ night out with the men of Black Magic Live.